I never had a chance to wear these flouncy shorts I picked up in Vegas on vacation over the summer break. I decided to dress them up enough that I could wear them to school. 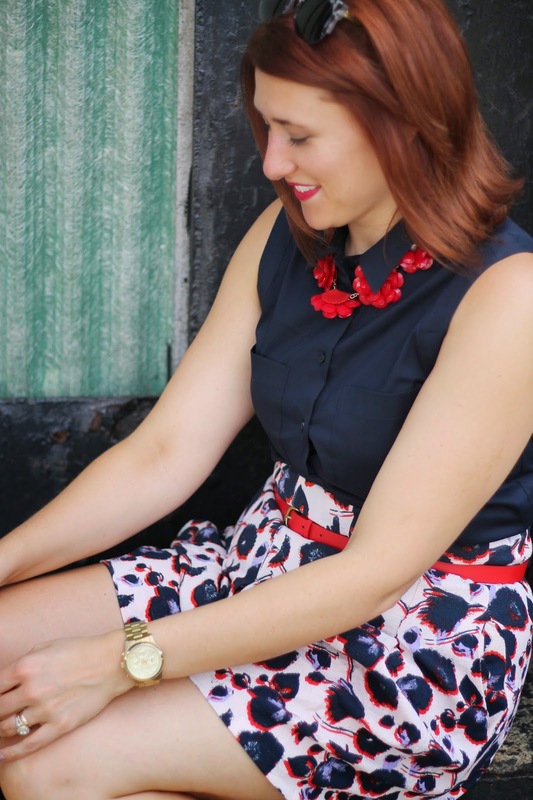 Adding in the navy Ann Taylor top and the preppy red accessories made the shortness of the shorts almost unnoticeable.